Here at Auffenberg Nissan, we’re dedicated to making sure your vehicle stays in pristine condition. Whenever it’s in need of routine maintenance or service, you can count on our experienced auto technicians to get it back on the road and running efficiently. They’re not only experts when it comes to the new Nissan lineup, but they can work on any make and model that you bring in. Whether you have questions about your vehicle’s performance, or it’s in need of an oil check or change, brake check, tire rotation, or a check engine light diagnosis, you can count on our service team to get it taken care of. Addressing issues as they arise will not only extend the lifespan of your vehicle, but you’ll also be able to make the most of every mile you drive. Allow us to help you maintain your car’s value by taking proper care of its maintenance needs. You can feel confident about the repairs we perform, especially knowing that we use certified Nissan parts that are built to last. 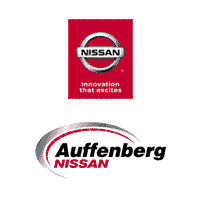 Your car is in good hands when you bring it to Auffenberg Nissan, and we’ll see to it that all of your automotive needs are addressed when you visit. If you’re ready to make an appointment, you can do so by scheduling online at your convenience or by calling us at (618) 641-0003. We look forward to assisting drivers from the O’Fallon, Belleville, Collinsville, Swansea, IL and St Louis, MO areas in every way that we can. Taking proper care of your vehicle doesn’t have to be stressful, especially when you have our auto experts here to help along the way!